Measuring marketing effectiveness has always been a tricky matter. Firstly, different companies have varying definitions of success, and the vast array of marketing performance metrics can be interpreted to suit virtually any agenda. The Content Marketing Institute say more than 50% of marketers are unsure of a campaign’s effectiveness. Ultimately, the overriding factor for the vast majority of businesses is their income. Has it gone up? Is the target audience spending more? Which ads were most effective at driving conversions? How does the offline ROI compare to the effectiveness of the digital campaign? The questions are endless. 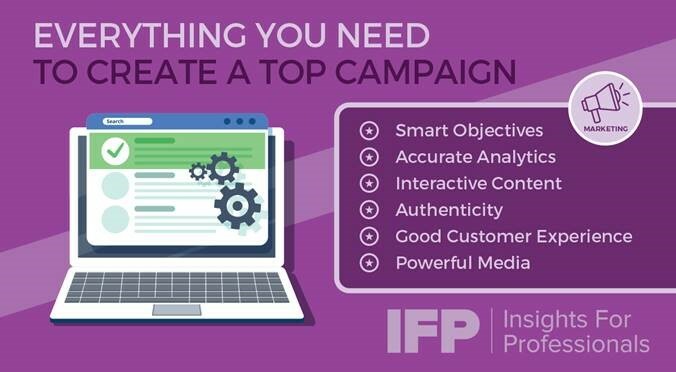 Having accurate answers to the questions relevant to your campaign can be useful when tweaking and refining the current content, as well as helping you to make future campaigns more effective from the get go. The key to effective marketing is customer centricity. How well does your content address their problem? Does it speak to them in a relatable way? Does it address any secondary pain points? There has been a steady shift in the way brands communicate, moving the spotlight away from the product’s benefits, and instead focusing on the potential customer’s problem. This has proven to be a more engaging way to communicate with potential customers and provides better results than simply shouting about your product. In order to create impactful marketing assets that achieve this type of engagement you need to fully understand who you’re talking to, and which platforms they use. Market research is more accessible than ever, and being in the know helps you grow. Learn to be patient before assessing the results. It can be tempting to start tinkering too early, when the true impact of a strategy can take a while to become fully apparent. Cheesy and insincere marketing stands out for all the wrong reasons. It paints a negative picture of the company and makes the brand hard to relate to. The proliferation of mobile tech has made it easy to jump online and check out other options. This has created a situation where brand loyalty is at an all time low, and it’s easy for competitors to pick up any disgruntled customers. This can also work to your advantage. Authenticity and customer centricity will help to strengthen existing relationships, and make your brand more appealing to your competitors’ customers. This might all sound a bit counter-intuitive, especially when businesses have spent decades chasing a bigger bottom line, not increased customer satisfaction. However, there is a growing pool of evidence that suggests the best way to grow your revenues is by being great at customer service. It’s quicker than ever to leave online reviews, whilst a bad reputation is easy to come by and hard to shake. Prevention is far simpler than trying to control the damage. 3 out of 5 people would try a different brand for a better customer service experience, which means good customer service and reviews will automatically generate new business. It’s approximately seven times more expensive to acquire a new customer than keep a current one. The chance of selling to an existing happy customer is 14 times higher than being able to convert a new one. A poor customer service experience has led to 62% of global consumers switching to another brand. A loyal customer is worth 10 times more than their initial purchase. It’s clear that keeping your existing customers happy is cheaper, and will also generate new customers quicker. This focus on customer centricity should be built into every aspect of your brand, especially your marketing. Every touch point should reinforce the reputation you’re trying to convey, and an effective marketing campaign literally defines how you’re business is viewed. One of the keys to successfully measuring marketing effectiveness lies in the preparation. You shouldn’t start releasing any content until you have clearly defined the elements you want to measure, or set tangible goals. When you have a clear picture of where you want your marketing to take you, it becomes easier to pinpoint the data you need to track. The jury is still out when it comes to recording marketing performance metrics. Many people religiously record every conceivable metric and piece of data regardless of whether they have any plan to extrapolate any meaningful information from it. Another train of thought states you should be less worried about measuring marketing effectiveness, and should instead pour all of your effort and resources into creating truly useful content that furthers the aims of the company. The truth is you need to find the right balance for you. The importance of different aspects will vary depending on your company’s brand and aims. Using a combination of high quality content and marketing performance metrics will help to paint a bigger picture. Experience tells us that too many metrics can complicate the process and so using just a few key metrics will help to stop the process becoming cumbersome. Digital marketing has taken measuring marketing effectiveness to the next level. Nearly every digital resource provides meaningful data and useful feedback about your ads. However, engagement doesn’t always equal conversions. Online engagement must be looked at in conjunction with sales metrics. This allows you to ascertain the cause of any uplift in sales. Are your existing customers spending more? How much of the uplift is down to new customers? Off the back of this information, you can reassess in relation to your goals and tailor your efforts accordingly. What makes video marketing effective? Video marketing is nothing new, but it has evolved into something different. The importance of video marketing has grown substantially as virtually every online channel has become more heavily focused on videos. According to HubSpot, YouTube is currently the second most used search engine in the world; if you don’t have a presence, you’re missing out. One Facebook executive is even predicting the platform will be all video in the next five years. It’s a natural continuation of our online evolution. Every modern smartphone is capable of playing videos without delays and technological advancements have also made video production a lot more accessible. If you have the right audience and willing employees, you can even use the built in cameras on smartphones, allowing individuals to live stream different aspects of your company. This adds a human face to your brand and helps you to be more authentic. After all, consumers say videos are the most memorable form of communication. How do you measure traditional marketing? Traditional marketing is trickier to assess, especially when run in conjunction with an online campaign. It’s hard to know the full extent of the impact when attribution isn’t always possible. You could use codes specific to each advert or medium (radio, TV, magazine etc.) to help you recognise the source of the customer. However, a code implies you’re giving something away, and you might not be running a promotion, in which case you could try using a unique URL with a landing page for each advert. A unique URL, or even different domain, allows you to opt for something memorable. You can also start tracking other forms of contact. Use a different e-mail address for offline marketing. Keep a record of the volume of calls you receive for the months prior to your campaign, and see if there’s a noticeable uplift. Gather as much information as you can; it will all combine to help you plug any gaps when measuring marketing effectiveness. Successful (or unsuccessful) marketing is defined by the number of people who perform a desired action as a result of your campaign. Having a clear image of your target demographic will help you prepare, but be flexible enough to react to key metrics once you have enough data to highlight the varying degrees of success with different content. Marketing is an organic process that requires a long-term commitment, and results aren’t always immediately apparent. Setting clear objectives and highlighting the way you’ll measure them will allow you to examine every part of the campaign in a way that’s meaningful to your company.